Some things never change. It racing, not ballroom dancing!! Maybe ask Petrucci to be there next time, so he can move over for you. Rossi’s raced Dovi enough to know how aggressively he brakes and that he doesn’t back down. No reason why he should have been surprised. Done it himself plenty times. Just on the wrong side of the racing line today. Just watched the race for the second time today. What a race! Probably the best I have seen in some time. Every single person from P1 to P8 were amazing today. Can every race be like this, please? JPSLotus, NJIRK, RG500Gamma and 1 others like this. Will be watching again after work today, was an excellent race, hard battles throughout. I have cooled down on Rossi, and this was at least not a general attack on Dovi’s character. For a really smart guy he is rather myopic in his old age however; while it is true they likely would have finished 2nd and 3rd if Dovi had been less aggressive, the converse is just as true. 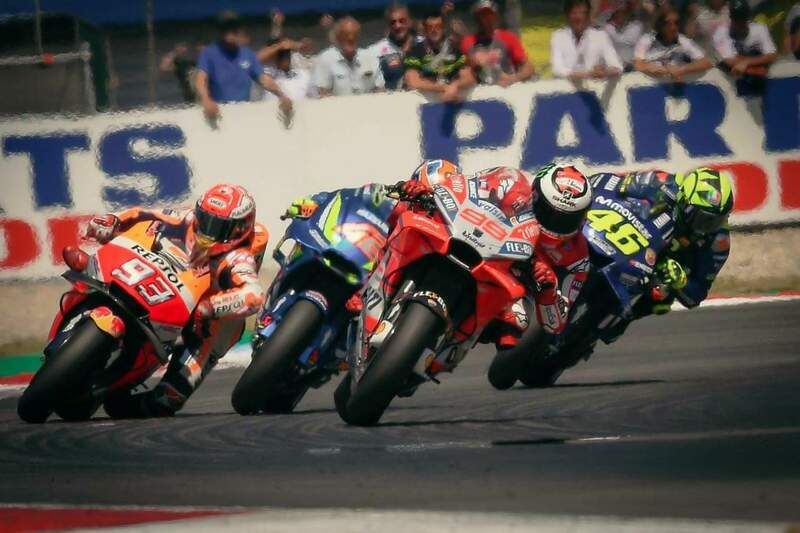 As I said earlier, Rossi has made a career out of never conceding a corner, but in the current field there are several riders who have the same attitude, including when he is the other party to which he has perhaps not been accustomed for most of his career; Dovi won’t concede a corner to MM, why would he to Valentino?. 'Why didn't Marquez and Vinales get a penalty for cutting the track' overlooking the fact that they lost time and Rossi did the exact same thing with Dovi. 'Since when does being on the inside mean you have the right line' complaining that Dovi fought for his position on the corner. Because Rossi is the Sun King of MotoGP? Did anyone else notice that Dovi did the same thing to Vale on the last corner that he has done to Marc at least 3 times? Let them dive bomb up the inside then just cut back and beat them to the line. Dovi's last corner coolness is something else. I did, I think he knows how late he is on the breaks and for anyone to come up the inside of him they're probably going to run wide. Keshav, evo9, gekko1ro and 1 others like this. Last edited by Gaz; July 1st, 2018 at 11:09 PM.